2 BMW i8s in the center, a couple BMW i3s, a Ford Focus Electric, a Volt, two LEAFs, and a Tesla Roadster. Tom & Meredith Moloughney, Micheal & Pamela Thwaite, Eddie Bortell, Chris Neff, Manny Antunes, Sal Cameli and Krishnamurty Kambhampati. Come join us on the final day of National Drive Electric Week! 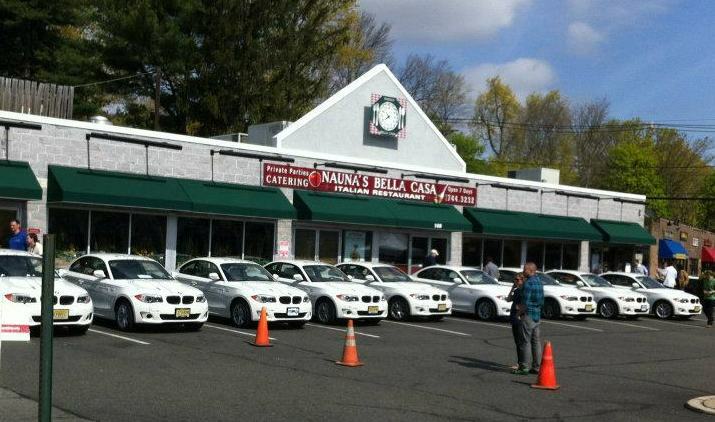 This event will be held in the parking lot of Nauna's Bella Casa restaurant in Montclair, NJ. There are three level 2 EVSE's on site with free charging and there are also another five public EVSE's within a couple miles. Charging will be first come, first served with the priority going to full BEV's over PHEV's. 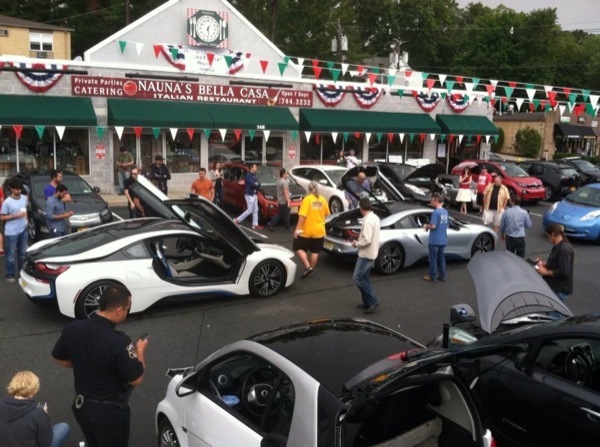 BMW of North America will be bringing a BMW i8 to the event so stop by to check it out! Registered attendees report 432,445 electric miles driven. National Drive Electric Week a Smashing Success!